Aesteiron Steel Pipes & Tubes division is India's first manufacturer & supplier of ASTM A813 ASME SA813 202 Stainless Steel Seamless Pipe who is selling steel pipes & steel tubes online. The buyers can easily compare price, hardness, chemical composition & mechanical properties on our ecommerce website for all types of industrial steel pipes & steel tubes. Now your desired product is just a click away. We are stockiest, dealers, distributors, retailers, wholesalers of industrial steel pipe, stainless steel pipe, carbon steel pipe & alloy steel pipe; you can search any size & grade in steel seamless pipe to compare pricing. Aesteiron has sales Representative & Stockyard in Netherlands,Venezuela, South Africa, Indonesia, UAE & Australia, in our Netherlands stockyard we have ready stock of ASTM A813 ASME SA813 202 Stainless Steel Seamless Pipe, 304/L & 316/L Seamless Pipe, ERW Steel Pipe, LSAW Steel Pipe, Seamless Steel Pipe, P22 Pipe, sa213 t11, S/A 53, API 5L Line Pipe & A 106 Grade B Pipe of world's renowned manufacturers like Sumitomo, JSL, MSL, Tata, JSW, Sandvik, Arcelor Mittal, Tubacex, Dalmine, Jindal Saw etc. NOTE 1: When the impact test criterion for a low-temperature service would be 15 ft . 1bf[20 J] energy absorption or 15 mils [0.38 mm] lateral expansion, some of he austenitic stainless steel grades covered by this specification are accepted by certain pressure vessel o piping codes without the necessity of making the actual text. For example, Grades TP304, TP304L, and TP347 are accepted by the ASME Pressure Vessel Code, Section ¥· Division 1, and by the Chemical Plant and Refinery Piping Code, ANSI B31.3, for service at temperatures as low as -425¢µ [-250¡É] without impact tests. Other AISI stainless steel grades are usually accepted for service temperatures as low as -325¢µ [-200¡É] without impact testing. Impact testing may, under certain circumstances, be required. For example, materials with chromium or nickel content outside the ANSI ranges, and for material with carbon content exceeding 0.10£¥, are required to be impact tested under the rules of ASME Section ¥· Division 1 when service temperatures are lower than -50¢µ [-45¡É]. 1.2 Grades TP304H, TP309H, TP309HCb, TP310H, TP310HCb, TP316H, TP321H, TP347H, and TP348H are modifications of Grades TP304, TP309Cb, TP309S, are intended for high-temperature service. 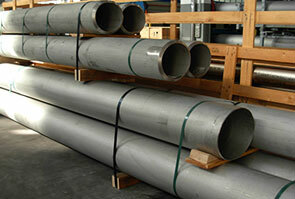 1.3.2 Class DW¦¡Pipe, double-welded with no addition of filler metal. 1.4 Optional supplementary requirements are provided for pipe where a greater degree of testing is desired. These supplementary requirements call for additional tests to be made and, when desired, one or more of these may be specified in the order. 1.5 Table 1 lists the dimensions of welded stainless steel pipe as shown in ANSI B36.19. Pipe having other dimensions may be furnished provided such pipe complies with all other requirements of this specification. ASTM A813 ASME SA813 202 Stainless Steel Seamless Pipe Special Testing is available? Do you stock Chinese standard ASTM A813 ASME SA813 202 Stainless Steel Seamless Pipe? 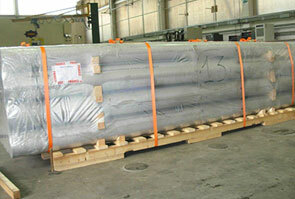 As we are supplying ASTM A813 ASME SA813 202 Stainless Steel Seamless Pipe globally so we have our dedicated sales representatives & technical consultant engineer in Nigeria, South Africa, Australia, Italy, Iran, Iraq, Israel, Turkey, Spain, Indonesia, Saudi Arabia, Oman, Qatar, Kuwait, South Korea, Canada, Japan, Yemen, Netherlands, Singapore, Malaysia who can provide you detailed information about ASTM A813 ASME SA813 202 Stainless Steel Seamless Pipe & comparison with other grades which will help you to choose the right steel pipe for your project at lowest price available in the market. For free consultancy or technical query you can send mail to our technical experts.